Nikos Wallingford visited the FULLer Cup in Winchester and interviews the founder, Laura Fuller. He used his iPad with the app ‘TouchChat’ to ask his questions. Having a disability doesn’t have to stop you from pursuing your dreams. Nikos love food and wanted to interview an owner of a cafe or restaurant. Brio Integrated Theatre offers an internship program for young adults and teens living with a disability. The intern chooses a self-directed creative project and Brio helps them to achieve their goal. This project used technology, learning the skills of research, community, collaboration, and communication. 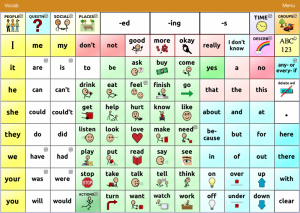 Nikos used the TouchChat app by Saltillo TouchChat Express is a full-featured communication solution for individuals who have difficulty using their natural voice. It includes both English and Spanish vocabularies, including the popular WordPower series of AAC vocabularies designed by Nancy Inman. Words, phrases and messages are spoken with a built-in Acapela voice synthesizer or by playing a recorded message. Various synthesized voices are available, allowing the user to choose a voice that fits their own personality. 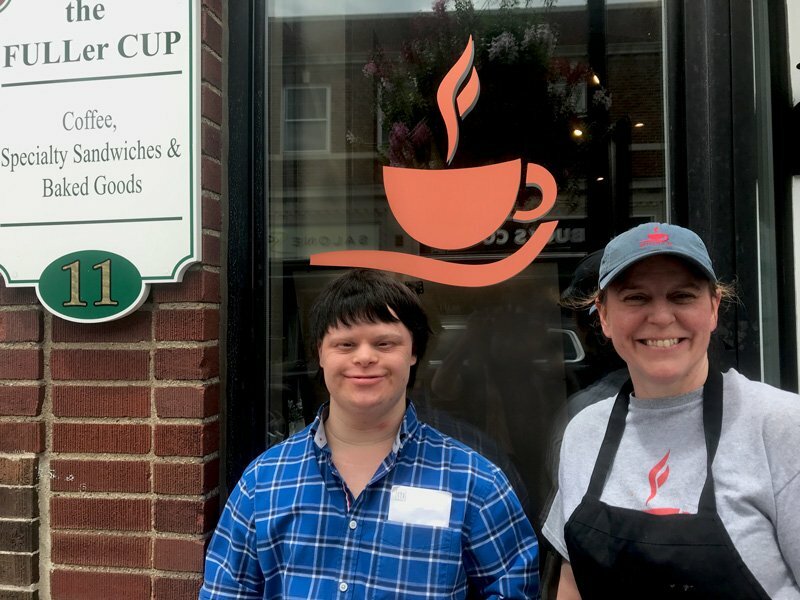 Special thanks to The FULLer Cup for participating in our program, showing they are an inclusive place to eat. Plus their egg sandwich is out of this world! Their address is 11 Thompson Street Winchester, Massachusetts.